The Park covers the territories of Arcos de Valdevez, Melgaço, Montalegre, Ponte da Barca and Terras de Bouro and is the only National Park within Portugal. This protected area, considered by UNESCO as a Biosphere Reserve, is one of the main attractions in Portugal due to its landscape beauty and biodiversity. Cultural and ecological trail, with great landscapes. This itinerary starts at the village of Lamas de Mouro, in Serra da Peneda, and its main attractions are the primitive woods, the paving slabs and old paths of pilgrimage and grazing. Cultural and ecological trail, with great landscapes. Its main attractions are the village of São Bento do Cando, the Bouça dos Homens branda, the valley of the Ramiscal river, the Fojos do Lobo, megalithic necropolis, other brandas and shepherd shelters. This trail will mainly lead us through the ridge of Serra da Peneda and the south hill of Serra do Soajo. It’s the living proof of the highlanders’ community life and of the ancient human occupation - from the Neolithic era until today. Accommodation in Arcos de Valdevez. Historical, ethnographic, geological and fauna observation trail, which takes place at Serra Amarela. Its main attractions are its corrals, prairies, Fojos do Lobo (wolf pitfalls) and Louriça - the highest point of the mountain. The sumptuous panoramic views reach as far as the mountains of Gerês, Soajo, Peneda, among others. Trail with historical, cultural and ecological value, which includes the Roman Road number XVIII (Geira or Via Nova) along the beautiful dam of Vilarinho das Furnas. Through the secular oak woods of Mata de Albergaria and Bouça da Mó, we’ll arrive at Portela do Homem border. From here, we’ll descend to Torneiros over the Spanish side of Serra do Xurês, being Cascata da Fecha its main attraction. 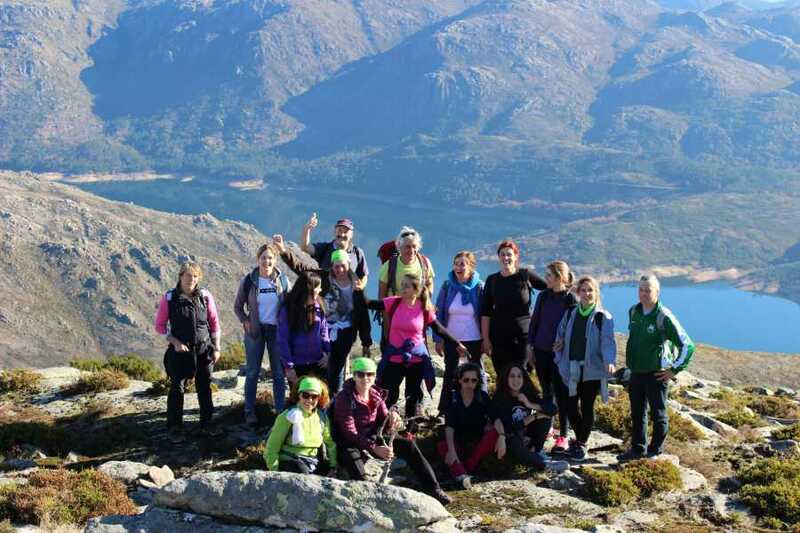 Landscape, ethnographic, cultural and fauna observation trail, which takes place at the protected area of Xurés/Gerês. Its main attraction is the beautiful abandoned village of Salgueiro, with its characteristic mountain architecture. The sumptuous panoramic views reach Serra de Peneda and the reservoirs of Conchas and Lindoso. Accommodation in Pitões das Júnias. Cultural and ecological trail, with great landscapes. It passes through secular oak woods and green meadows. Its main attractions are the old grazing pathways and the astonishing landscapes.